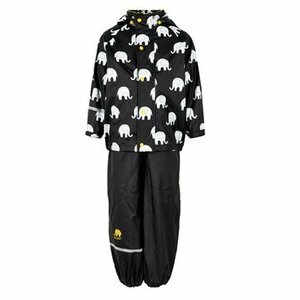 Waterproof black rainsuit with funky white elephants on this raincoat for children. 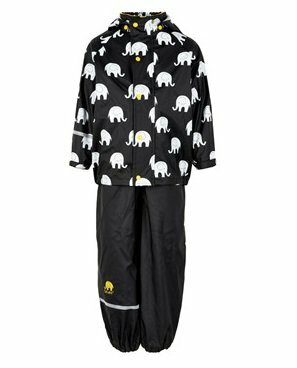 Comfortable children's raincoat and rainpants to play outside as well in wet and humid conditions. No water will come trough the taped seems, even in hard wind. 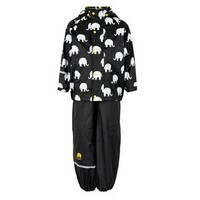 Beautiful quality raincoat with detachable hood with blue elephant print and black rainpant with blue detailing. 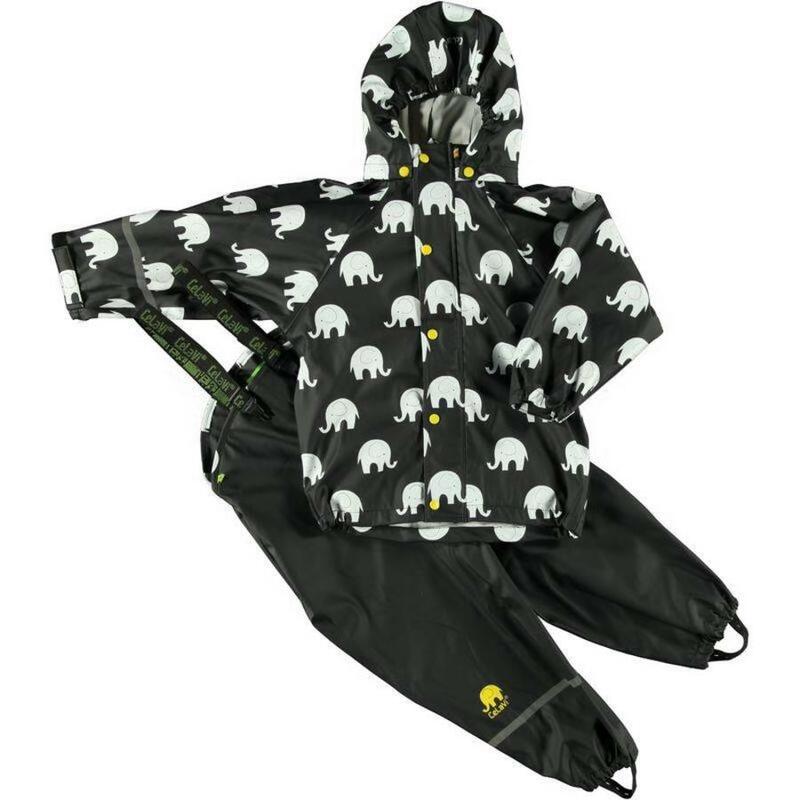 Integrated snaps in the storm flap; these protect the zipper so the rain has no chance. 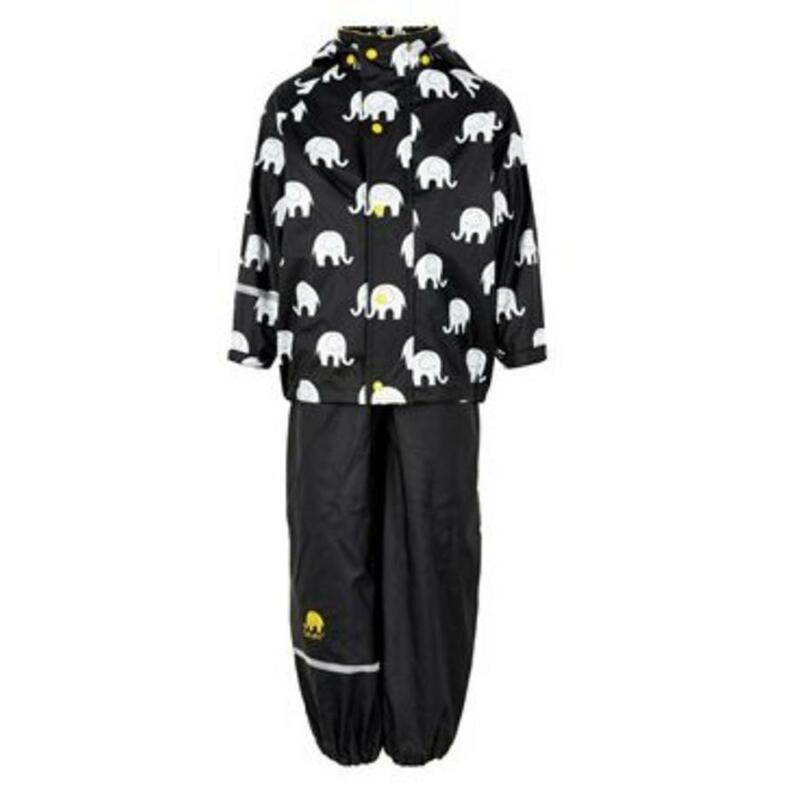 Waterproof taped seams. 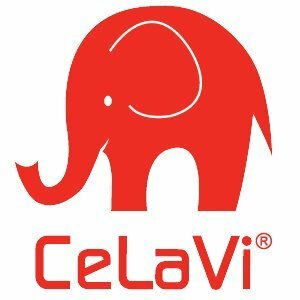 Durable manufactured without nickel, PVC and Ftelate.